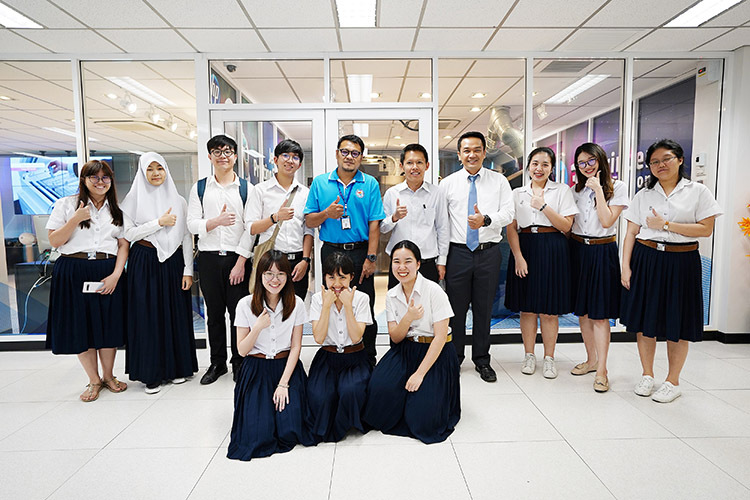 Metro Systems Corporation Public Company Limited (MSC) welcomed faculty members and students from Chulalongkorn University and provided IT knowledge on current information technology business and processes by focusing on the real workplace environment to enhance the experience and prepare before their graduation. In the event, Miss. Natpachamon Tungjitlerdkij, Vice President of Financial and Accounting Group gave warm speech welcome. Dr. Tanya Wongvanich, Head of Corporate Communication gave speech on “Essential Soft Skills for Graduate Students” and the honor speakers, Mr. Meelarp Sokuma, Digital Transformation Officer, Enterprise Solution Architect shared the knowledge on “Now & New Data Center Management”. After the speech, we presented all faculty members and students the MSC Technology Centers Headquarter on April 2, 2019.